Breeding your mare to Momentum NA will for sure bless you with a foal who will quickly win your heart, as well as ribbons in the show arena. The amazing gentle nature combined with the beauty, correct confirmation and extreme athleticism produced by Momentum NA will bring you a foal to cherish forever. Momentum NA arrived home to Prairie Gem Stables, in April of 2006, after placing Top Ten in Scottsdale in Purebred Western Pleasure Open with Brett Becker. Since Momentum came to Nebraska, he has been very busy creating a family of beautiful offspring. 2009 Region 13 Top Five Half Arabian Hunter Pleasure Junior Horse. Only two shows under her belt, but is a great mover and very steady. Shows great potential as a youth or amateur mount. Sweepstakes nominated. 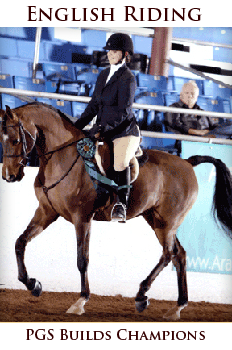 She looks “just like her Daddy,” as her trainer remarked when presenting her to admirers at a show. 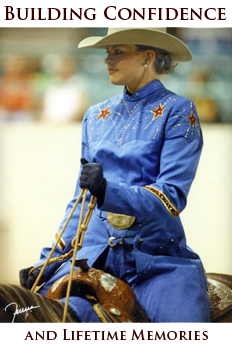 Moments of Destiny is beginning her western pleasure show career in 2009 with Sarah Parropovich. Belle (Tink)” is black and gorgeous and resembles not only her mother and Momentum NA, but especially her Grand Dam- Mona Lisa V.
Starting her show career in halter with owner Sylvia Rogan of Omaha, NE. “Daphne” is a sweetheart who loves people and will be a super star in the western pleasure division in training with Bill O’Malley of Prairie Gem Stables. More Babies with Photos Coming Soon! Alotta Chocolate, now a two year old Half Arabian, Quarter Horse filly, owned by Paula Haley. When this filly was born, she created a lot of excitement at Paula’s barn, with such a beautiful face. Paula’s friend, Gay Asel, decided she needed a Momentum NA baby, too. Redemption Gem, who is owned by Linda Brown was born at Prairie Gem Stables in May of 2008. 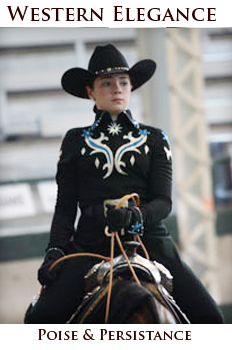 Her dam, FF White Whisper (“Twizler”) was leased from Janeane Coleman, to be bred to Momentum NA. This successful breeding produced “Reda,” who is such a beauty and a special blessing to our farm. Thank you “Twizler,” Janeane, Momentum NA and our Heavenly Father for the blessing of this great filly!!!!! !